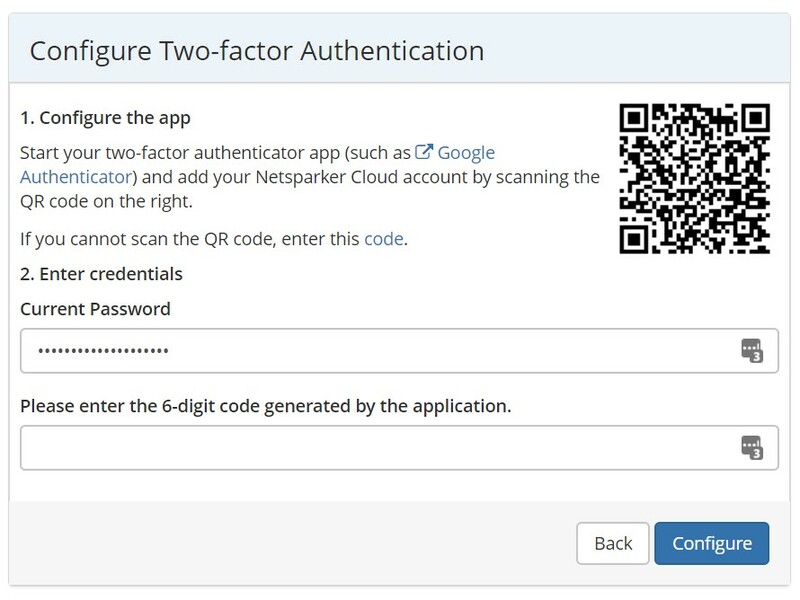 You can enable two-factor authentication, or as also known two-step verification, to add an extra layer of security to your Netsparker Enterprise account. 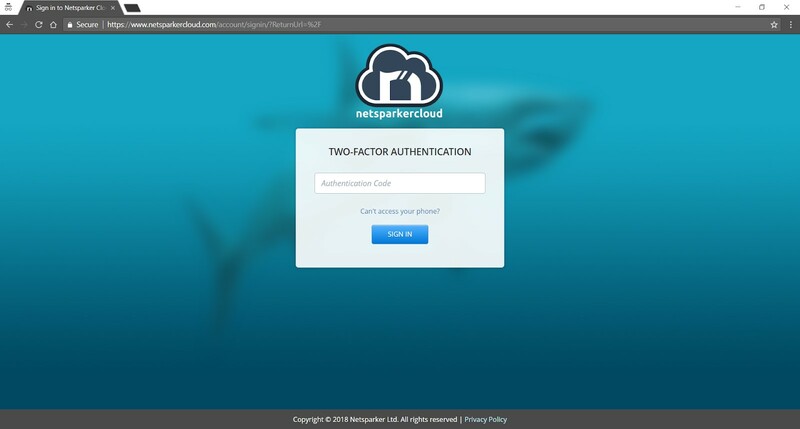 When you enable two-factor authentication, when logging in to Netsparker Enterprise you will be asked for your password and a one-time code. From the main menu, click Your Account, then Two-factor Authentication, then Enable two-factor authentication. Install a two-factor authentication app on your phone. Google Authenticator is a popular choice. You can download it from Google Play or the App Store. Launch the app on your phone, and use it to scan the QR Code displayed on your Netsparker Enterprise dashboard, as illustrated. In the Current Password field, enter your Netsparker Enterprise password. In the Please enter the 6-digit code generated by the application field, enter the verification code displayed in your mobile authenticator app. Click Configure to finalize the setup. Once you enable Two-factor Authentication in Netsparker Enterprise, the service generates ten Recovery Codes, as illustrated. 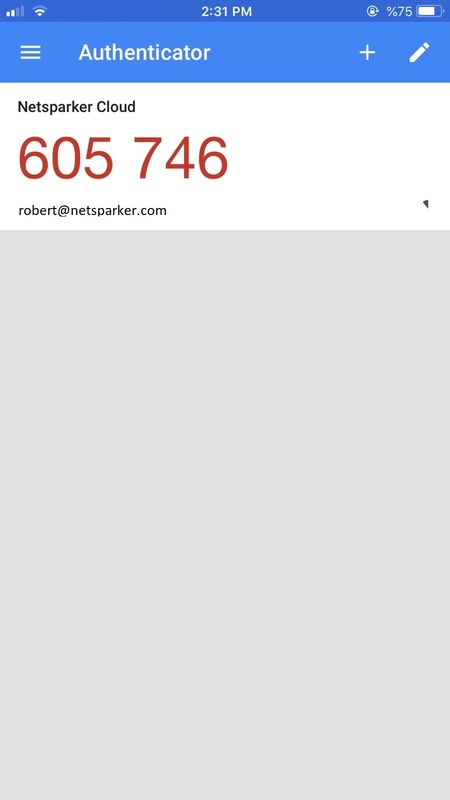 The next time you log in to Netsparker Enterprise, you will be asked for your email address and password, as usual. Next, you will be asked for the one-time verification code from your mobile app. If you are unable to access the mobile app during the login process, use one of the Two-factor Authentication Recovery Codes. Download or copy the Recovery Codes to a secure place where only you and other trusted users can access them. 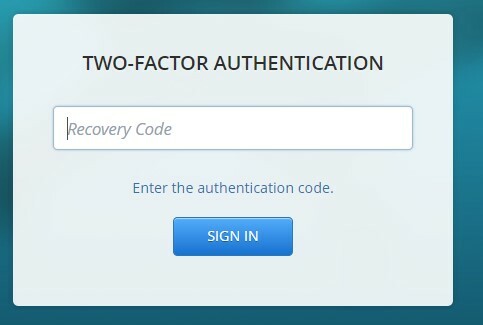 Recovery Codes are needed only when you need to log in but do not have access to the two-factor authentication mobile app to generate a one-time code. Please note that a Recovery Code can only be used once. If you use them all, disable and enable Two-factor Authentication again to regenerate new ones. Log in to your Netsparker Enterprise account using your username and password. If you have two-factor authentication enabled, the Two-factor Authentication window is displayed. Click the Can’t access your phone? link. The Recovery Code field is displayed.